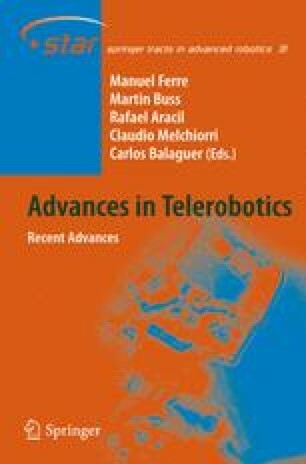 This chapter describes a telerobotic system for maintenance of aerial electrical livepower lines. Maintenance-related tasks are of great relevance for utilities companies, as their goal of achieving a good service quality depends to a great extent on the performance of maintenance and inspection issues. A telerobotic system called ROBTET, has been developed by the Universidad Politécnica de Madrid, in collaboration with Iberdrola and Cobra, a Spanish utility company and contractor, respectively. The ROBTET system has been in operation in the Spanish electricity network since 2002, which attests to the success of the prototype and also allows for the incorporation of improvements.